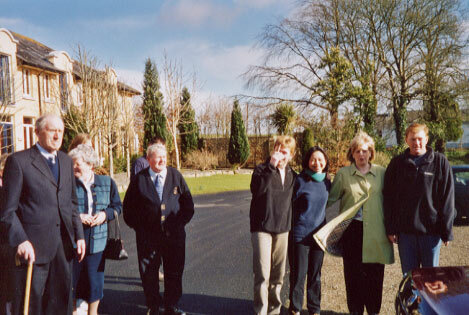 Before she moved out, my next door neighbour Trish told me that she was getting married on 6th March in Ireland. I immediately asked to play at her wedding as a gift. 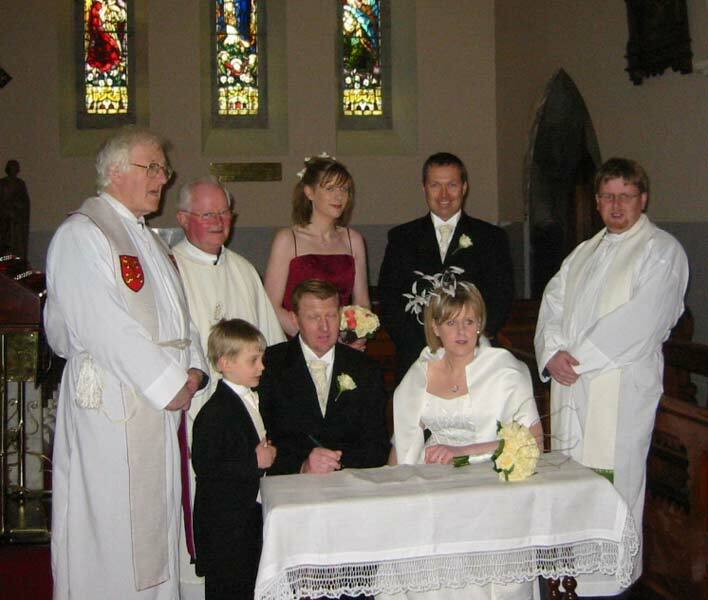 Years ago I went to an Irish wedding in Tralee in County Kerry. It was the most memorable wedding I've ever attended in that everyone from newborn babies to octogenarians danced until the wee hours. The entire village celebrated the event of the marriage of my Malaysian neighbour in Singapore to his Irish bride. 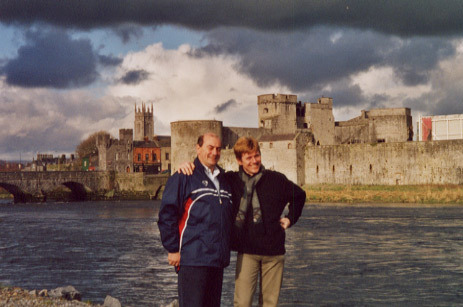 This experience made me eager to return to Ireland, the emerald isle of music. 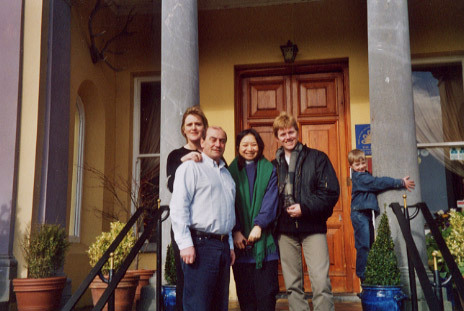 For me, visiting Ireland is about listening to or making music with its people. Since the Irish learn to sing from an early age, being able to sing (without instrument backing) is as natural as being able to breathe. More importantly, I wanted to introduce Ireland and the Irish to the Dutch guitarist who had never been there. I suggested that he play a guitar solo in the catholic church wedding while I play the organ and the baritone, the priest's nephew, sings. The church was situated straight across from the hotel where the wedding reception was held. But getting there required a drive because of the valley between. Located 8 miles from Adare Village (famous for Tiger Woods' visits), the Mustard Seed at Echo Lodge overlooks the peaceful village of Ballingarry in County Tipperary, just southwest of Limerick. Built in 1837, the privately owned and operated house is set on seven acres. It's so well-furnished and comfortable that I could hardly believe that it used to be a convent! After the wedding at the church, the hotel staff greeted us with glasses of hot mulled sweet wine. I drank four glasses in a row to warm myself while playing the piano. Thereafter we moved into the main dining area where we were served with a five course gourmet meal. In the evening, a middle-aged lady with a youthful spirit reigned the piano with her vibrant singing and accompaniment. I was amused by this entertainer who improvised medleys of dance tunes for hours on end. Between the dancing came pauses for volunteers to sing. They sang without accompaniment in perfect pitch. I suddenly felt like an imposter - not a natural musician like the rest of them. Without the piano to protect me, I could only dance or listen. It was midnight before anyone retired to the high-ceiling rooms. The next morning, after a hearty Irish breakfast, the newly weds flew off to Africa for their coastal honeymoon. It was for me, the end of an important period in my life - the good neighbours whom I got to know via Trish's nephew Michael, who then moved away, got married, and will now emigrate to the Great White North.